When one gets in a car accident, they will often suffer serious trauma. In fact, it’s hard to get in an accident without suffering some sort of injury, however minor. While true, one can hire a personal injury attorney for a host of reasons. With this in mind, here are the top five reasons people hire a personal injury attorney after a car accident. Free Consultations with an experienced car accident attorney! Call Now Results Matter! Long-term issues: When getting into a car accident, people will often think they are okay at first. This false sense of security can cause a person to end up in serious trouble later in life. For this reason, when in an accident, one should seek immediate medical attention. Then, when finding long-term problems, a person should head to an attorney who can help them recover the funds needed to pay for the surgery and other costs. No insurance: When in an accident, one should have insurance. However, some people will have car insurance that is not adequate. Other victims will not have health coverage. Either way, if this happens, a motorist or passenger should seek legal counsel immediately. Debilitating: When involved in a serious accident, some people will never be able to function at a high level again. If a passenger or driver can’t walk or use all his or her limbs, they are going to suffer from a host of problems. When dealing with this, a smart person will want to hire legal counsel immediately. 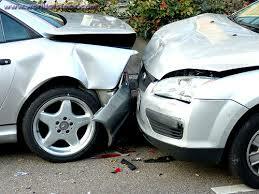 Issue with the other driver: Often, when in an accident, one will have to deal with the other driver. If the other motorist is nice and admits fault, one will not have problems. However, if the other driver doesn’t have insurance or is fighting the case, one will need to hire a personal injury lawyer to help with the case. Serious expenses: Finally, when in a motor vehicle accident, the driver will have to spend a lot of money to fix minor issues. Think about it, when heading to the hospital, one will watch as their bill adds up quickly. Not only that, an ambulance ride to the hospital is not cheap. However, when hiring a personal injury attorney, one can recoup their funds. When in an accident, even if it’s minor, one will want to seek medical attention. Furthermore, it’s unwise to leave things to chance, and a driver or motorist must also hire a well-trained lawyer to help with the situation.